Still a bit stormy and a small swell breaking on the beach so it was the perfect opportunity to learn surf launching with Ali and Murdo our trusty Scottish participants. 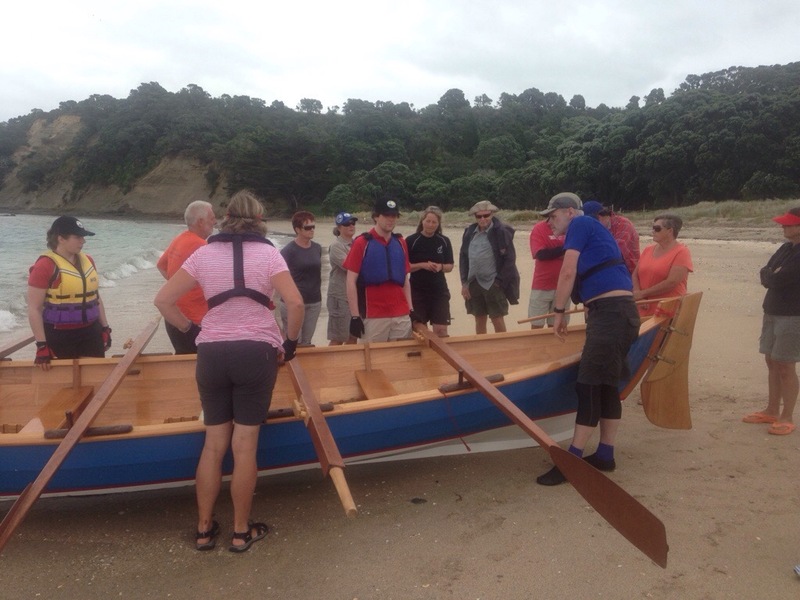 Followed by the chance to try some rowing in moderately rough conditions, a new adventure for some who are normally based in the sheltered waters of rivers and inland harbours. We also took the opportunity to practice some man overboard recovery techniques. Having seen the videos of the feet first recovery method. 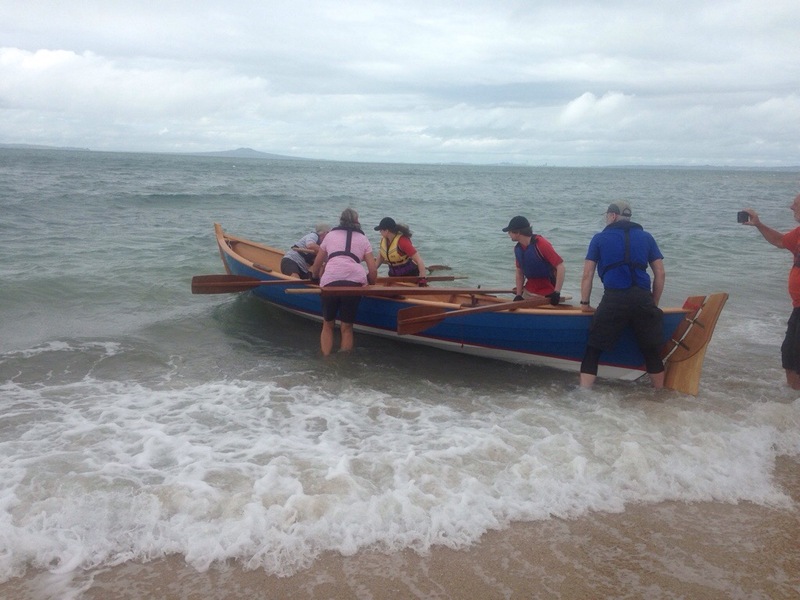 Murdo kindly offered to be the dummy and having tried at least half a dozen different methods of recovery its without doubt that the feet and legs over the gunwale technique wins hands down. With some practice its possible to pull a swimmer with or without a lifejacket safely and easily into the St Ayles without any major strain or effort and the centre thwart makes a great bench should CPR be required on the recovered person meanwhile the stroke and bow could still row safely back to shore or towards assistance if required.